Self-guided rides are for everyone who wants to ride independently and not on a group ride with a group ride leader. 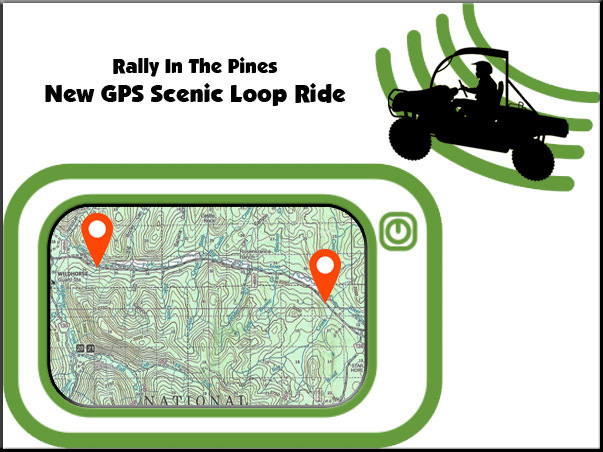 All self-guided ride drivers will receive a map with photos and coordinates. Self-guided riders can leave when they want and return when they want. PLEASE, only take your self-guided ride on the day you are scheduled for. And please note: You are solely responsible for yourself. Most of the roads and trails in the area have some switchbacks and steep drop offs. None of the rides in the area are for beginners or for people who may be on medication that makes them dizzy or drowsy or have any other physical handicaps that impair their being able to control their machine at all times. The wearing of helmets is greatly encouraged. Having under body protection on your Side X Side on Challenge Rides is a very good idea! This is the Rocky Mountains! Extra gas should be carried on all Skilled Scenic and Challenge Rides over 75 miles in approved safety gas containers. No one 17 years of age or younger is permitted to drive on any ride. Pick Your Adventure! take in all the beauty of the area. Skilled Scenic Rides: This is our most popular category. These rides will require driving skill to complete. They are longer rides and some of the roads and trails will have some rocky or rutted areas. Challenge Rides: Not only a beautiful ride, but there will be places along the way that will require technical driving skills. Experienced riders only please. Please choose one ride per day. You may choose all Self-Guided Rides or you may choose one Self-Guided Ride, one Ride With A Ride Leader and one Activity Ride. Or two Activity Rides and one Self-Guided Rides. Ride leaves from the fairgrounds. 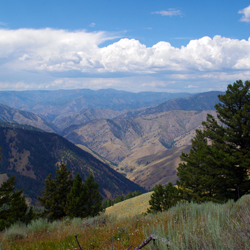 The East Boulder Creek Overlook Ride is an easy scenic ride that takes you to a high mountain ridge that runs along the Salmon River Gorge. There is one main trail that goes for many miles along the ridge. And a few side trails that have some stunning views. This is a wonderful place to explore for a fun days ride. 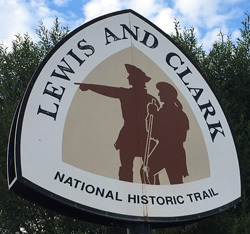 You will follow a main part of the Lewis & Clark trail with many stops along the way at historical sites and markers. You can visit the Sacajawea Birthplace Monument, the Flag Unfurled Monument and Lemhi Pass where Lewis and Clark hoped to see the Northwest Passage to the ocean, but only saw more mountain ranges in the distance. Sharkey Hot Springs is also along the way. So if you wish to take a soak, bring your bathing suit. 65 mile round trip ~ 20 miles from the fairgrounds to the trailhead. 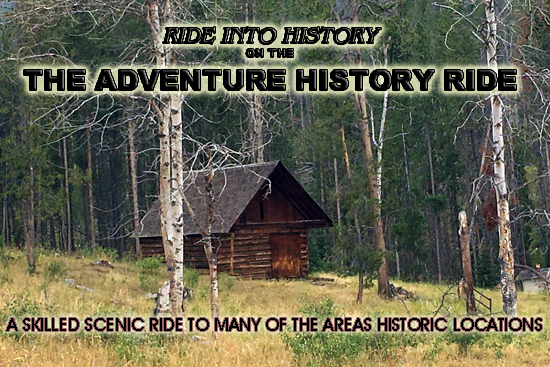 The Big Creek Hot Springs Ride is a fun ride leaving from Rally Park. You will ride along three different rivers and streams along the way. It is a beautiful ride. This is mostly a easy scenic ride except for the last 3 miles up to Big Creek Hot Springs. There are switchbacks and it gets narrow in some areas. Please Note: The hot springs can be extremely hot! Over 200 degrees!! Do not get in the main pools of these hot springs. They will burn you. And please be watchful that your dog does not get in these hot springs either. They are too hot! Many people will enjoy a soak in the creek down stream, where the water is cooler and much better temperature for soaking! This is one of the most beautiful rides we offer at Rally In The Pines. You trailer 30 miles to the trail head. From there you will ride BLM and County Roads into the back country. 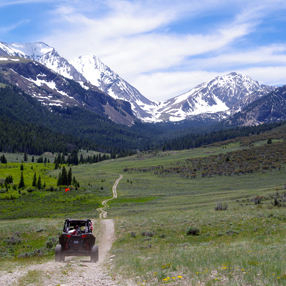 You will ride into the backside of the tallest peaks in Idaho. 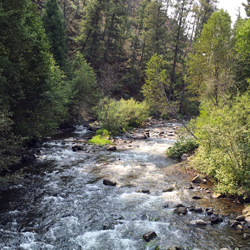 Lunch by a beautiful mountain river and be surrounded by the majesty of the Rocky Mountains. What a ride! The Williams Lake Ride has lot's of diversity. You will ride through thick forests, over mountain ridges and into deep canyons. There are quite a few places along the way where the road gets technical and you need to proceed at a slower pace. This ride is a full days ride and the final destination is Williams Lake. Bring lot's of water and snacks. And extra gas! 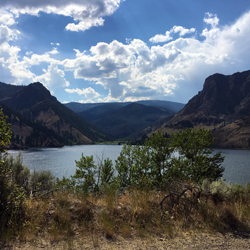 The South Valley Mountain Loop Ride takes you along beautiful mountain creeks and into high mountain basins. This loop trail goes around two mountain peaks with lot's of side trails to explore. The trail gets rocky, steep and technical in some areas. Beautiful ride with lot's of terrain diversity. Get ready for a great Challenge Ride! You will leave Rally Park and make your way over deep forest trails and mountain ridges. Halfway through this ride you will drop down a steep rocky ridge into the town of Salmon. Here you can choose to have lunch at a variety of restaurants. Or how about visiting the Sacajawea Center and some of the art galleries in town, before you start the ride back to Rally Park. 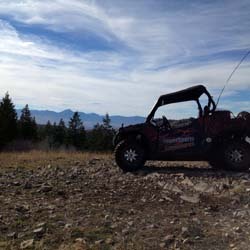 On this ride you will enjoy fantastic views of the town of Salmon and the Salmon River Valley below. You will have steep, rocky, rutted and narrow areas you must negotiate along the way. This is a fun ride! All Activity Rides leave from Rally Park, they are full day rides and there is no width restrictions. This ride is designed like a fun run and will only be offered on Friday, July 12th. 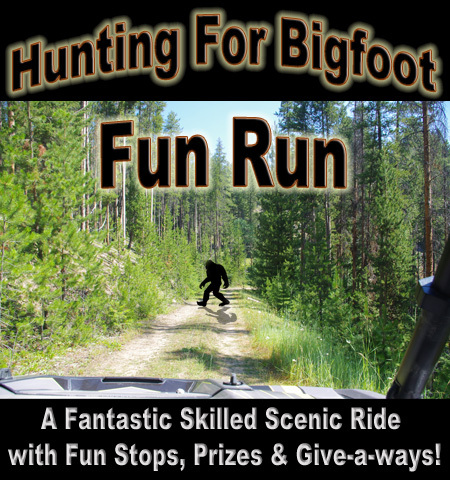 Hunting For Bigfoot ~ Fun Run! Can you find Bigfoot on this fantastic skilled scenic loop ride? 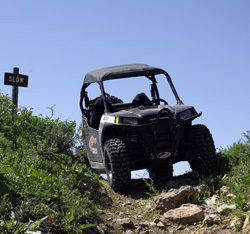 The ride takes you across mountain ridges and along the sides of mountains where you will have beautiful vista views. Then down into deep pine forests while you look for the elusive Bigfoot. Three fun stops along the way where you can win prizes and receive special sponsored give-a-ways! The Bigfoot Hunting Champion will win a custom trophy! The Hunt For Bigfoot Fun Run will be offered on Saturday only. It's not a competition, but this ride is modeled after the "Amazing Race". You start off at Rally Park with one packet of coordinates, clues and photos. You follow these coordinates, clues and photos to your first destination. There you will find a new packet of coordinates, clues and photos. Then you follow these to your next destination and so on. And each destination on this ride is one of the great points of interest in the area. So you will see many beautiful sites along the way, until your last set of coordinates, clues and photos brings you back to Rally Park.